Make your own Electronic Water Tag! « Adafruit Industries – Makers, hackers, artists, designers and engineers! Make your own Electronic Water Tag! Everyone loves water gun fights in the summer. But you can always make something better by adding electronics to it. So I designed a set of water sensors and buzzers that will beep when they are hit with the spray of a water gun. 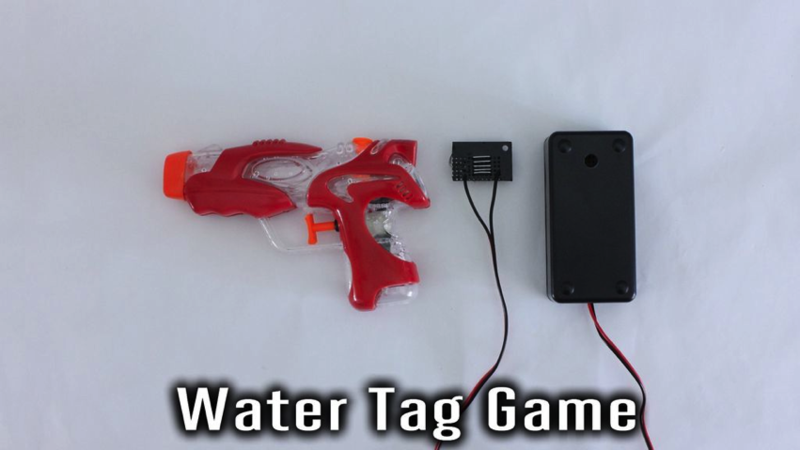 This lets you play a game similar to laser tag but with water. And if you want wondering, no it won’t shock you or electrocute you. The circuit is well sealed in its housing and the amount of electricity that we are working with is so small that it couldn’t shock you anyway. Comments Off on Make your own Electronic Water Tag!